At Cozens Pointe, our experience speaks volumes. Cozens Pointe LLC, is a real estate development company whose principal is Jerry Ashbach. Currently building Cozens Pointe at Grand Park, a private enclave of 68 condominium homes, Jerry is assisted by Real Estate Development Consulatnts Dan & Dar Gile. This partnership is well established in the community with many years of experience in real estate development, construction and sales. Husband and wife team, Dan and Dar Gile have lived in Grand County for 15 years. Dan is the former managing broker of Century 21 Winter Park Real Estate and development consultant for the highly successful Waterside West condo project in Fraser. Dar worked as designer for the Waterside project. Jerry, a part time resident of the county for eleven years, was the principal developer of Waterside. 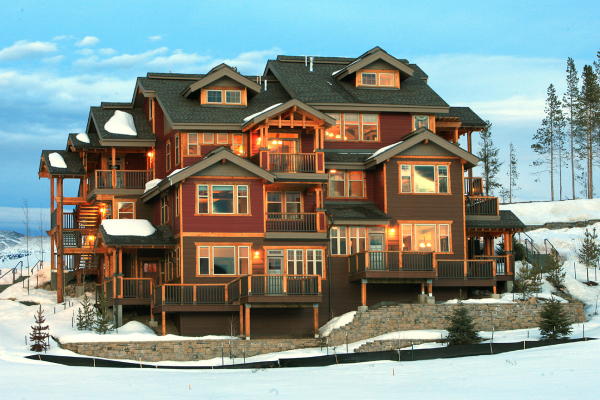 With this level of expertise in mountain construction, Cozens Pointe offers a unique condo project with an emphasis on durability, functionality and superior design within the confines of the Grand Park master development located in Fraser and contiguous to Winter Park. The Craftsman design is more than just style at Cozens Pointe. Durability, functionality and superior design and construction are important concepts to us. These goals have driven most decisions that have gone into the creation of this special community. This is our fulfillment of the Craftsman ideal as related to the creation (concept, design, construction) of the community. Understanding the rigors of a mountain climate and having awareness for what is good for the environment, both inside and outside your mountain home, Cozens Pointe LLC engaged a team of professionals to design a project like no other in the area. Construction and design integrity have been considered by our professional team at all turns and in all choices. Construction details such as a cold roof system, literally a roof on a roof, have been expertly designed for the winter climate of the Fraser Valley. We didn’t discover fresh air but we are proud of it. The importance of indoor air quality has been addressed by including a Certified Industrial Hygienist on the design team. Wall, floor and other construction details that reduce sound transmission from one condo to the next have been designed by a professional acoustical engineer.